Happy 4th of July! Let’s eat some ice cream. Sometimes there is nothing better than a good old fashioned ice cream sundae. But where do you get one? Sure, there’s Ben and Jerry’s or Baskin-Robbins, but those aren’t really my style. As I was brainstorming for the best place to get a sundae, I kept wishing Farrell’s was still around. Remember that place? I went to many a birthday party there when I was a kid. Finally, I decided to give Ruby Jewel a try. I love their ice cream sandwiches. They sell them at a number of stores and restaurants around town so I was interested to give the scoop shop a try and…it was awesome! 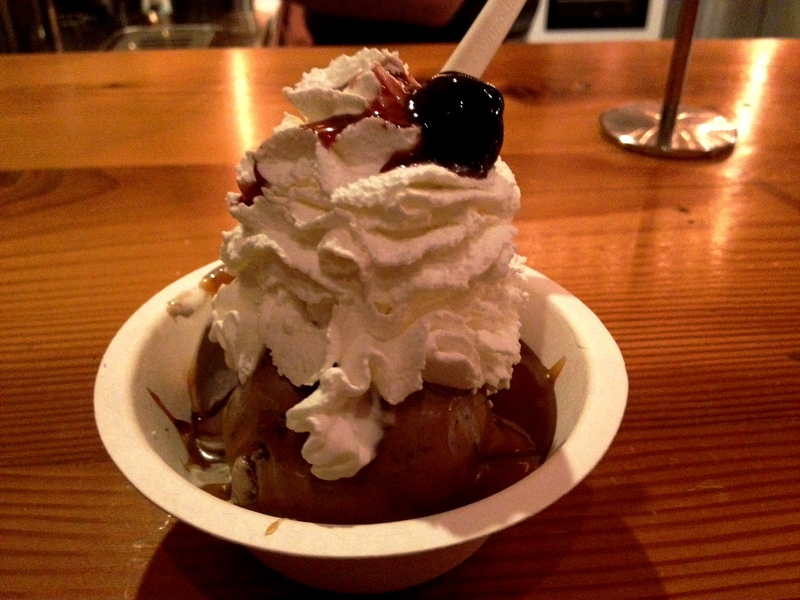 I designed my own sundae, with a scoop of cookies and cream, bourbon caramel sauce, whipped cream and a cherry. The ice cream was really good, but the caramel sauce was divine. And the cherry in top was not a grocery store maraschino, but an Italian amarena. Jacob got a double scoop cone of their “cow free” flavors, Oregon berry and strawberry lemonade. He says the Oregon berry was the best, but his favorite thing wasn’t the ice cream, it was the root beer. Ruby Jewel sells Rogue root beer on draft. Also on the menu, ice cream sandwiches you can design yourself, root beer floats, and tons of other toppings. 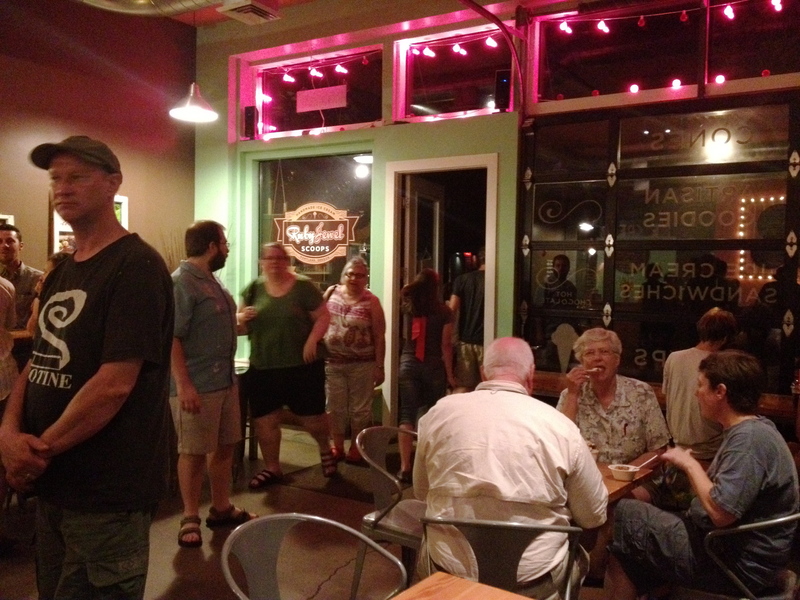 We were there at 10PM on a weeknight and it was really busy (of course it’s been hot) but the service was fast. 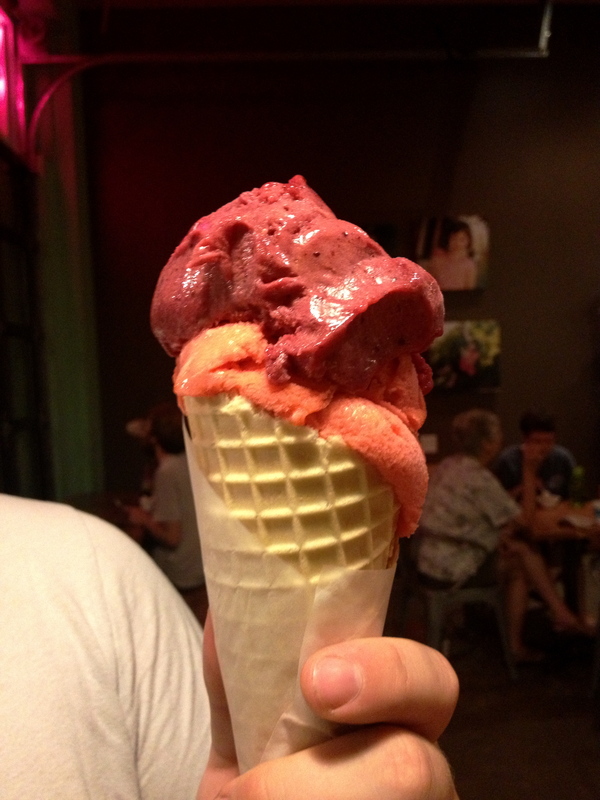 This weekend, think about hitting up your local ice cream shop for a sundae or head over to Ruby Jewel. 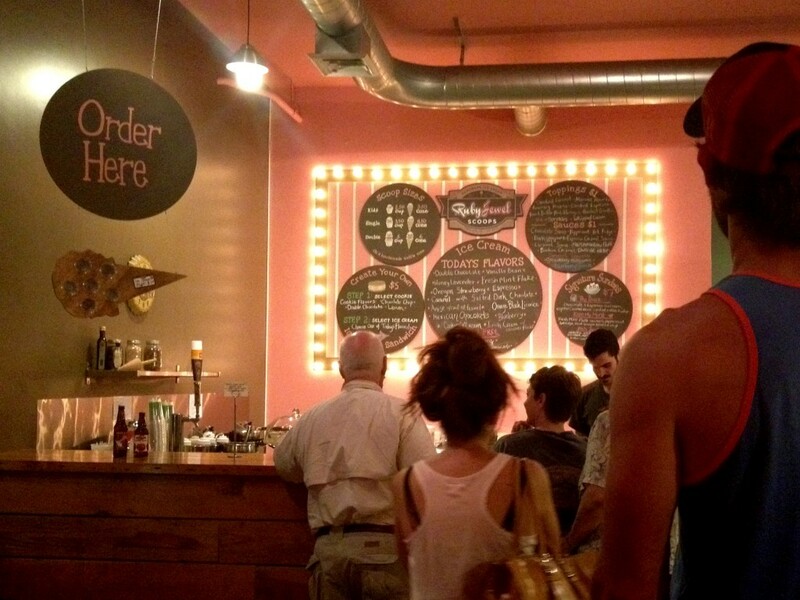 They have locations on Mississippi and in downtown Portland’s new West End district.